Maybe Kimye will meet Jesus after all? There is about to be a more sacred filter on Instagram, and it will officially belong to the “patron saint of PR,” Pope Francis. 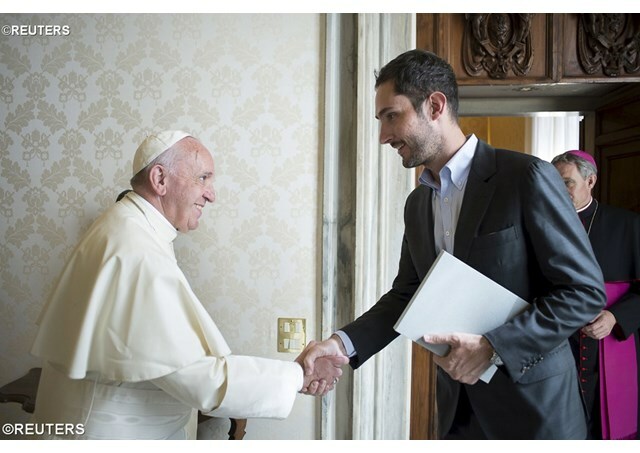 When this picture was taken by Reuters in 2012, showing His Holiness with the CEO of Instagram, Kevin Systrom, the world began trolling the visual platform looking for some selfies from the Pope. Since then, the Vatican has joined Instagram through its media relations department, but they need a more tangible connection to the Holy See. From #Popemoji to his own handle @Pontifex with more than 8.5 million followers, the Pontiff has an impressive following everywhere he goes, even online. That said, @Franciscus will be the holy handle on Instagram beginning on March 19. MEMO to the Catholic adherents of the world: There are more than 1.3 billion of you. Show the old guy some love. Come on.